Kids craft supplies aren’t always cheap and your bill can add up fast. One way I cut costs is to use what I have. I bet most of you have dozens of great arts & craft materials already in your house. This list is not definitive if you have a favorite everyday item that you use for crafts that isn’t listed here please leave a comment to inspire other readers. Band-Aids make great butterfly and firefly crafts. Salad Spinners is great for painting. Coffee Grounds are an earth friendly sensory tub filler. Egg Cartons make cool caterpillars . 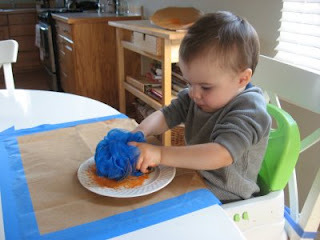 Bath Poofs are perfect tools for toddler painting. 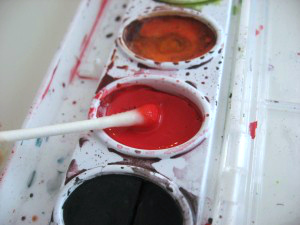 Ziploc Bags are good for mess free color mixing or shake painting. A Garlic Press is great tool for playdough play. Pot Scrubbers have big handles and make fun tools for toddlers to paint with . Cookie Cutters make great stencils, playdough molds and fun to paint with. 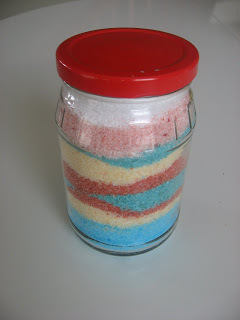 Salt can be colored and layered for colorful crafts. Coffee Filters are beautiful when you add colored glue or food coloring. Fly Swatters are much more fun to paint with than brushes! Jar Lids can be used for DIY stamps . Paper Plates can be used for almost anything but animals crafts are our favorites. 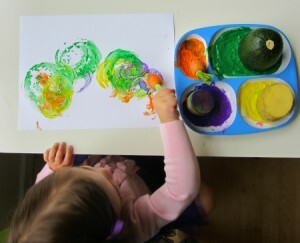 Fruits and Vegetables are fun for little hands to paint with. Bubble Wrap is great for popping ( fine motor skills!) but printing with it is rad! Shaving Cream isn’t just for Daddy’s face, it’s also fun to create with. Marshmallows can be used for counting, matching and creating really cool crafts. Yogurt is a great first paint for babies. Milk Plugs make really amazing rings. Toilet Paper and Paper Towel rolls have near endless uses. Bubble Wands make really awesome prints. 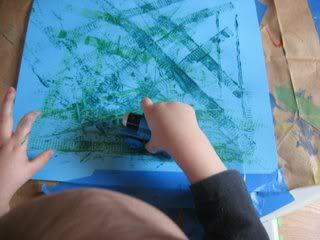 Potato Mashers make great prints when you add some paint and paper. 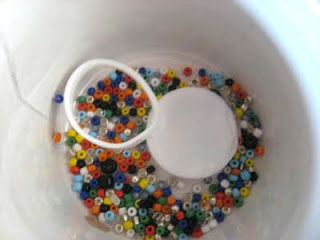 Pasta can be used dry and glued on crafts or dyed and made into necklaces. Q-Tips can be used as a paint brush or glued on to paper to make pretty flowers. Corks are fun in the water table and make a great alternative to stamps. Kitchen Sponges can be cut into shapes and used to paint. Pool Noodles can make garlands and even a bouquet of flowers. Toy Cars are a great alternative to paint brushes for little hands. Cupcake Liners can be made into flowers, jelly fish and even umbrellas. Cheerios cereal can stand in for beads and fill sensory bins that are ok to eat. 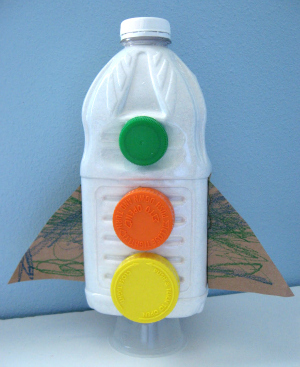 Water bottles make great discovery bottles when filled with fun things and recycled rockets when decorated. Golf Balls can be used for painting . Milk Cartons make great bird feeders. Newspaper can be painted and even turned into a pirate hat. You don’t need a huge well stocked craft room to create and have fun with your kids. Think out of the box and be creative. What do you like to use for crafts that is meant for something else? 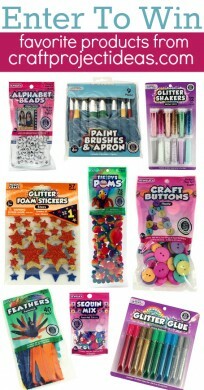 Also check out our supply list for our favorite store bought kids craft supplies . How have I never heard of painting on bubble wrap?? My kids are going to think I’m the coolest mom in the world! One thing I’d add…cheap paper plates make great wreaths! It’s my go-to craft for every new season; just cut the center out, give the kids some themed stickers, colors, flowers, ribbon, whatever, and you’ve got yourself a memorable and cute piece of home decor! I LOVE YOUR BLOG! 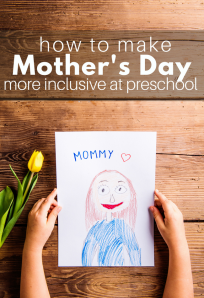 My little one is a bit too young for preschool so some friends in the same situation and I have decided to get together to do our own. Your site has so many great ideas I’ve been addicted to it all week! Have a great year and I hope we can help you find just the right activities all year long. Honestly Allie, you amaze me. Oh Zina – thank you !